Help children express their feelings clearly through storytelling! In that way they build security, self-confidence, strong ties to their environment, friends and parents, which in the long term helps set the foundations of social and emotional intelligence. 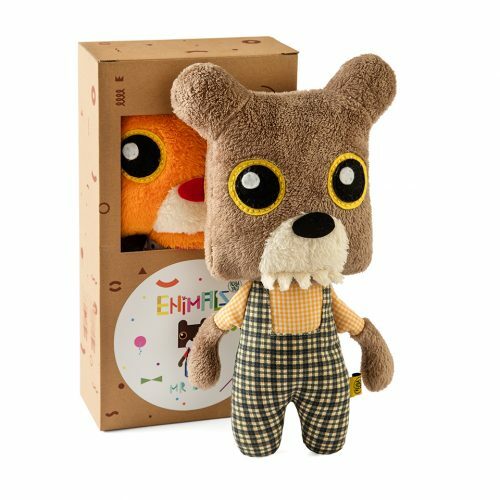 EnimalZ are five cute little animals – bear, rabbit, owl, cat and elephant, who represent the typical emotions, worries and various characteristics of all our children. Sometimes they are good and sweet, other times they are impossible, wacky and at the same time fearless, worried and tearful, with dreams as big as a house. 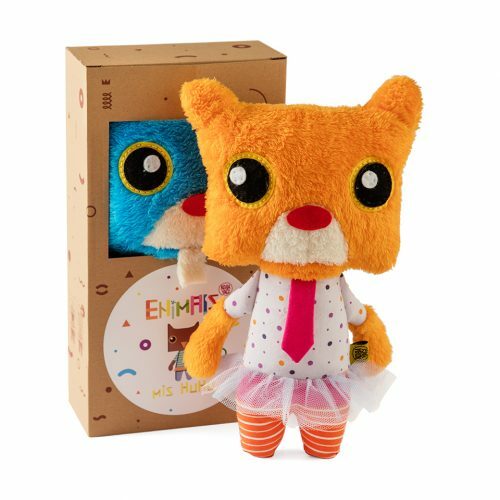 We believe that everyone will recognize themselves in these toys. 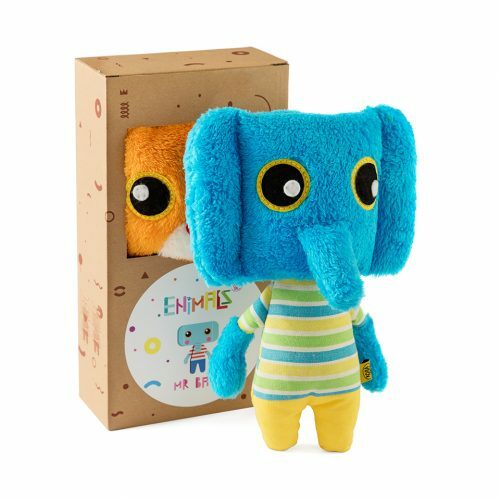 Each toy has a “hidden place” on its head in the form of a pocket, where kids can insert their messages meant for their special friend. The messages can be drawings on paper, where the child will present a worry, wish or their current emotional state. The pocket is also the place where a child or an adult can insert their hand and thus become a storyteller. 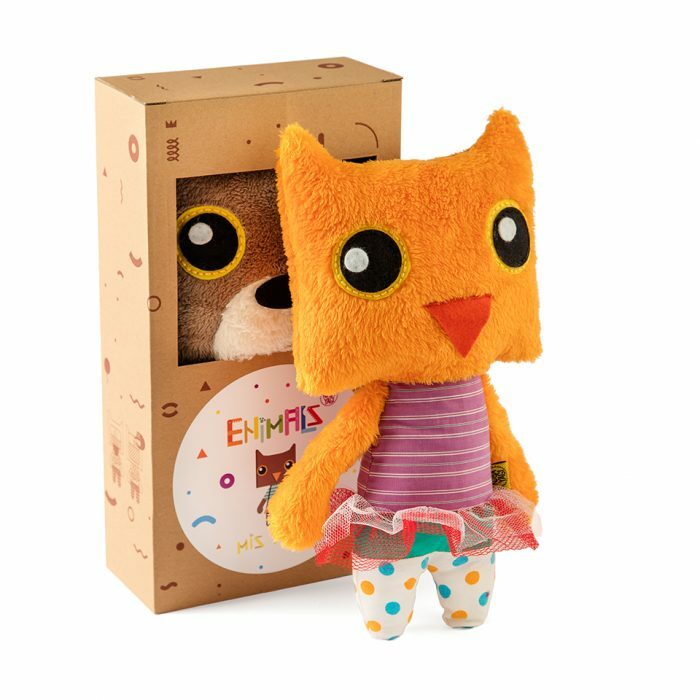 The toys are 300 mm tall, made from recycled fabric and stuffed with lining. 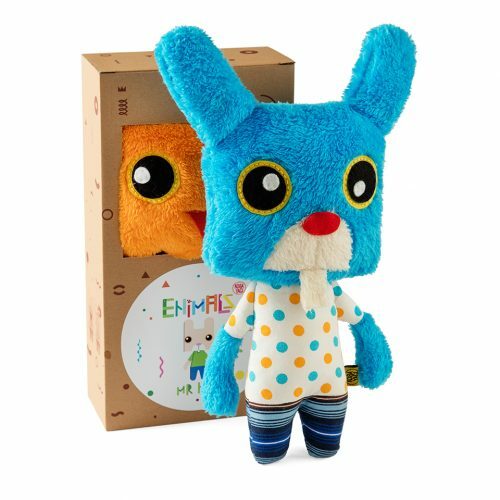 DECLARATION – A 350 mm tall toy made from recycled cotton fabric. Tested by Jugoinspekt. Made in Serbia. The toy is machine washable at 45 degrees. Koba Yagi Toys, 2017.